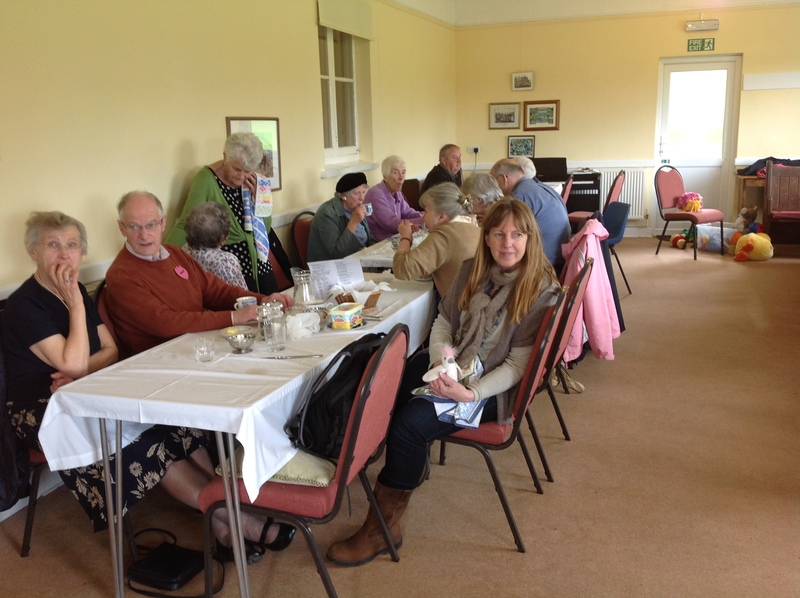 70 people enjoyed a soup & sweet lunch coupled with a Parkinson’s Awareness Event at Connon. 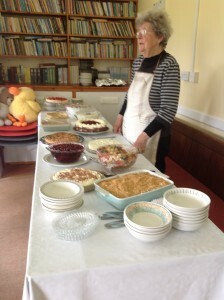 There was a choice of 8 soups, home made rolls and at least a dozen sweets. Delicious. 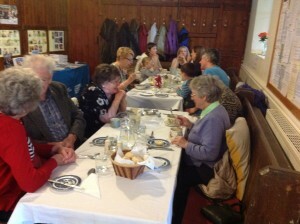 Following lunch Professor John Whipps and his wife Sue gave a talk about Parkinson’s. They explained that anyone can get Parkinson’s and the typical visible symptoms are hand tremors, stiff and awkward movements, hesitancy in walking. Non visible symptoms have a more profound effect i.e. pain, depression, sleep problems, voice loss, difficulty in swallowing, a sense of anxiety. Together these symptoms can cause a sufferer to be socially isolated and misunderstood. There is no cure for Parkinson’s. It can be controlled by drugs but quality of life deteriorates progressively. Prof. Whipps talked about how Parkinson’s had affected him and he advised that sufferers should keep trying to do as much as they could and maintain a positive attitude. Finally, Beth Roberts, who also has Parkinson’s, read some of her poetry which is available in a small book with funds going to Parkinson’s research. It was a very interesting and enjoyable day. 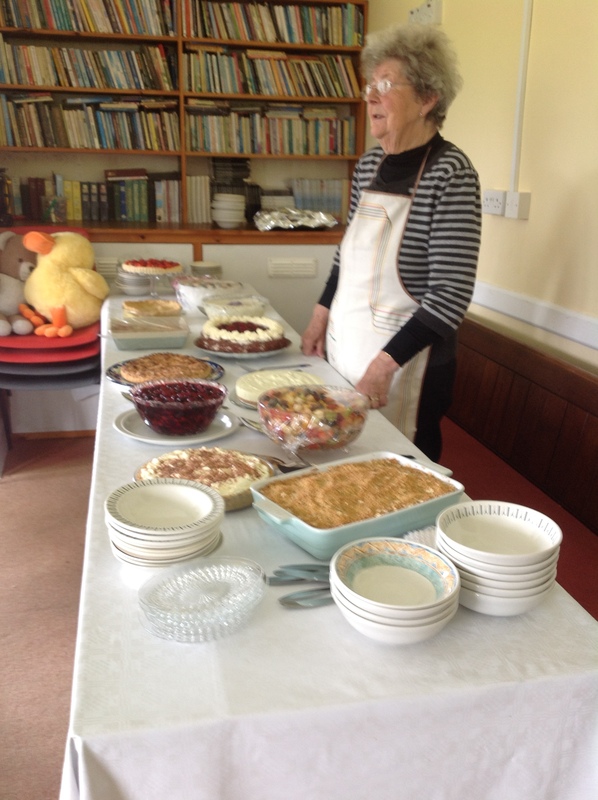 The first day of Holy Week and Messy Church was held on a warm sunny afternoon. 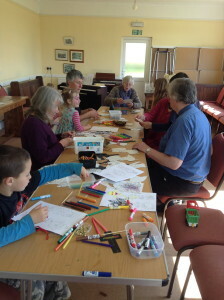 The children (and helpers) did some colourful drawings, sang a song, heard a story about Palm Sunday. 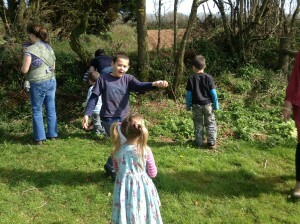 They went outside into the garden and had an exciting Easter Egg hunt. This was followed by the arrival of Monty the donkey into the car park and he seemed to enjoy being stroked by the children (and helpers) as he stood there patiently watching them play and sing. Finally, into the Old Sunday School for tea. It was a good day.